It’s been almost three weeks since my visit to France and I’m missing it already. From Day 1 to the last, the experience was so much more enjoyable than I expected. 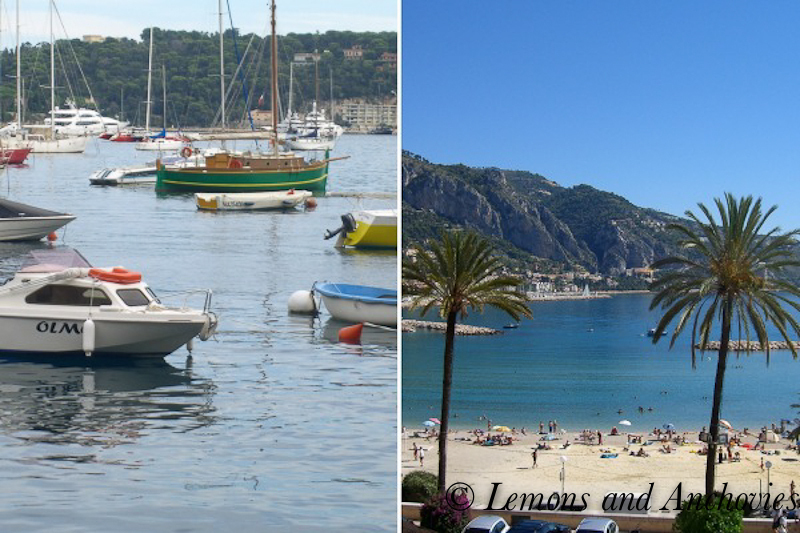 Previous visits have always been a winter activity so I was very happy to finally set eyes on the beautiful city that is Paris and on the French Riviera in all its sun-drenched glory. The sights, the people, the food–all my senses were fully engaged and I couldn’t get enough. I’ve always had a love affair with Italy, you see; I’ve even fantasized about living there and have slowly been trying to learn the language. Then this last visit changes everything and I admit that Italy might have to share my heart with France. Since I’m late to the game compared to many (who visit Paris early in their travel careers) I won’t bore you with the hundreds of pictures I took. If you don’t mind, though, I’ll share a few and tell you a little about my trip. We were blessed with great weather for the three weeks we were in France. The single drizzly afternoon we had was spent recharging for the next day’s activities. 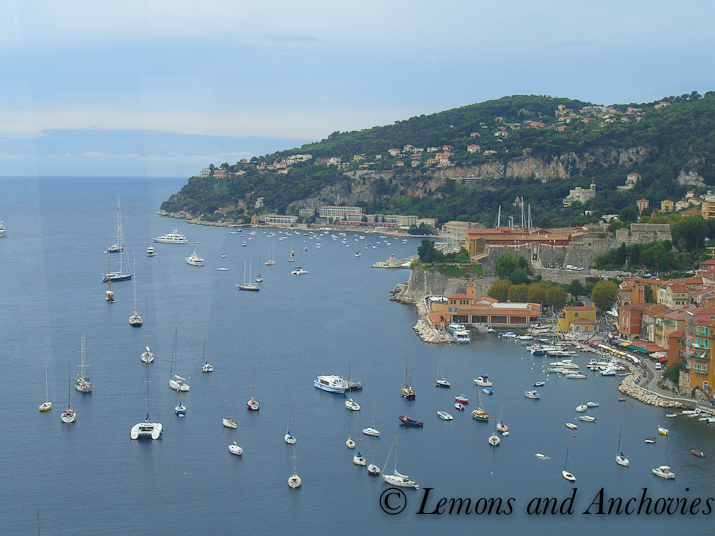 In the French Riviera we used Villefranche-Sur-Mer as our base and had this to enjoy for two weeks. But we also fell in love with the neighboring villages and vowed to return. The water? Beautiful, of course. But the food was something else entirely. On market days, village streets were lined with specialty foods and produce. But we also enjoyed restaurant fare that was pretty special. Which is what finally brings me to this post. I’d been craving a taste of France for a couple of weeks but didn’t have the time to make a special treat until this weekend. 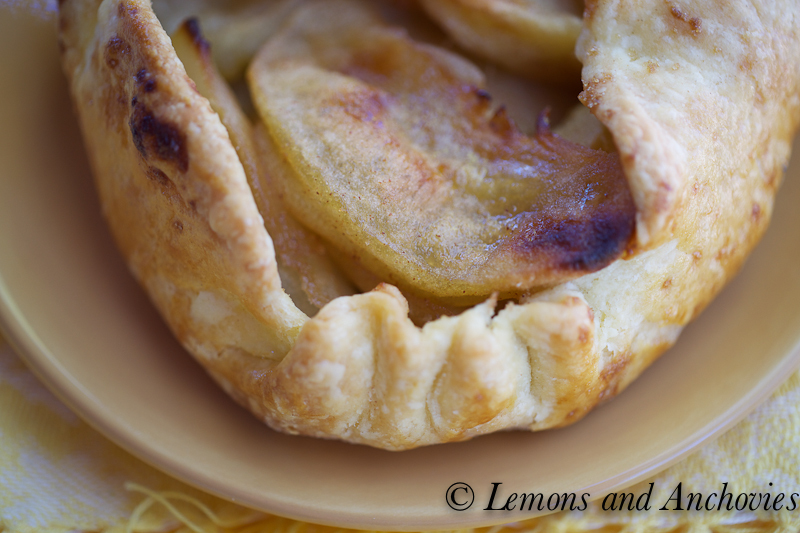 I made individual apple galettes–simple but oh, so delicious! In fact, I think I’ve found my favorite pâte sucrée (sweet pastry crust) to date. This crust was flaky but not greasy and was quite enjoyable to eat even without the filling. It took seconds to make in the food processor and just slightly more time to roll out for the little galettes. Since my recipe book called these tartelettes, I rolled them out, set them in my little tart molds and refrigerated them until the filling was ready. However, closer inspection of the recipe revealed that the latter weren’t even required which is why I’m calling them galettes. The apple filling was even simpler to prepare. Peel, core, slice. Then sauté in butter and sugar (I also added cinnamon). The ease of preparation belies how tasty these were. The filling was not too sweet and the apples retained a slightly firm texture. They were perfect to eat warm and while I was initially disappointed that my neighbors weren’t around to enjoy these with me, I recovered and was very happy to have extra to enjoy for later. A taste of France in my own kitchen. Place all ingredients except the ice water in the food processor and process just until mixture has the texture of coarse crumbs, 10-12 seconds. Add the ice water and pulse about 6-8 times. Don’t let the mixture form a ball; stop when it just begins to hold together. Transfer the pastry to waxed paper and flatten the dough into a disk. Add 1 tablespoon of flour at a time if the dough seems too sticky. Wrap in the waxed paper and refrigerate for at least an hour. Preheat your oven to 425ºF. Divide the dough into four equal portions and roll out into 6-inch rounds on a floured surface. Place on a baking sheet and refrigerate once again until ready to bake. In a large skillet, melt the butter over medium-high heat, add the apples and granulated sugar and sauté for about 15 minutes or until lightly browned. I sprinkled a little cinnamon just because I can never help myself. Divide the apple filling into four and place in each pastry round. Fold the edges of the dough over the apples. Brush the pastry with the beaten egg. Bake until golden, about 20 minutes. Sprinkle the apples with brown sugar. Serve warm or at room temperature. You are making me want to book a ticket to France! Ryan and I are debating between traveling to Paris or Istanbul…but after seeing your post, I don’t know how I could say no to such a beautiful country! The galettes you shared with us were simple yet beautiful. 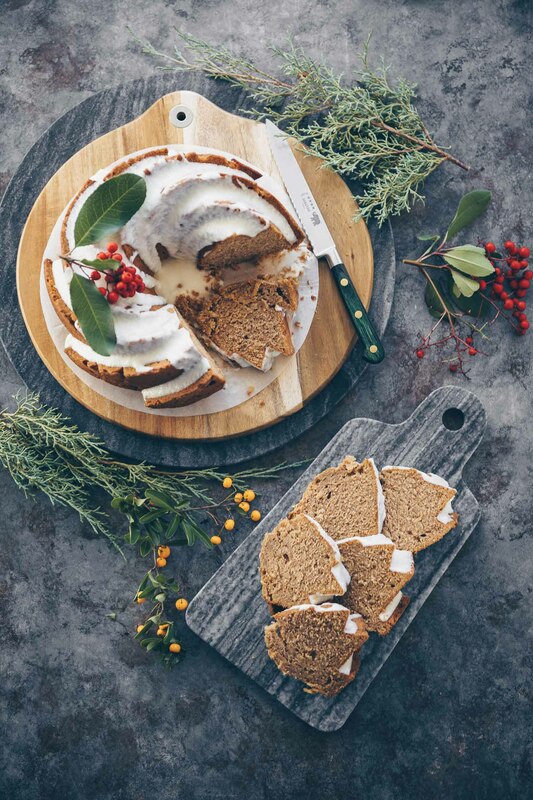 I think that French cooking is all about high quality ingredients…and it seems like you replicated their philosophy quite well here. Thanks for sharing! 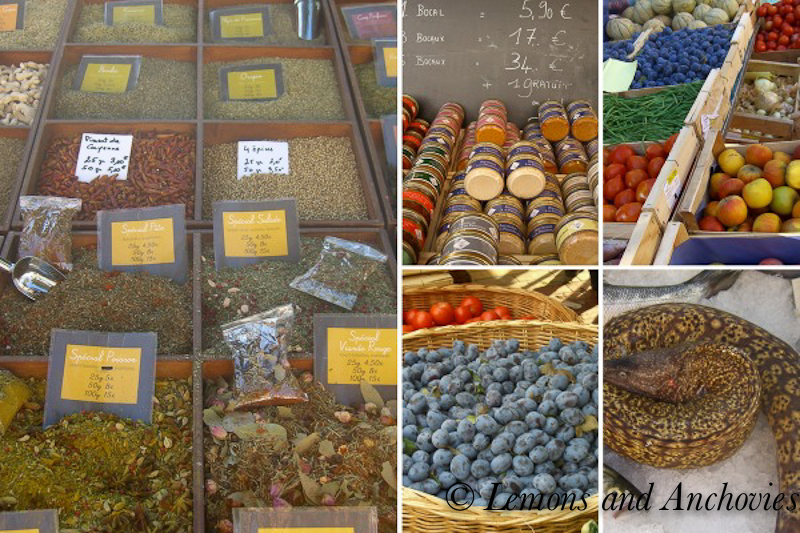 I too rediscovered my love for France this September with 10 days in the Luberon in Provence – the market at Apt was to die for, the weather perfect, the antique linens, and our apartment at La Madone (www.lamadone.net) – an 18th century villa in Apt – was the stuff of dreams. Living in Malta, I’ve always gravitated to holidays in Italy, our neighbour and like you, I have to say France is more than sharing my heart (hubby prefers Italy as he doesn’t speak French but is fluent in Italian). I have signed up for lessons at my local Alliance Francaise so I can bargain in those brocantes on my next trip. Thanks for a the Gallic twist on good old Apple Pie – factoring it in to my Sunday lunch this week for pud as a reminder of France and autumn – we just don’t get four seasons in Malta! Liz, I have pictures of the antique linens. I plan to share them here, but I didn’t want to overload this post. Looks like a wonderful place to spend quality blogging time. 🙂 Thanks for sharing. The pasta with shaved truffle evokes the most visceral response. And the galettes? They look like something even my non-baking self could attempt and enjoy. Elegant. Ben, this post is highly summarized–I think there was a story behind each picture, and you know about my wifi troubles while there. Now if I can make these galettes, you definitely can, too! Worth it, let me tell you. We leave for France in a matter of days and this just gets me STOKED! I’ve never brought a camera on vacation, but I think I need to now. Thanks for the pre-vacation! Mary, you HAVE to bring a camera. I brought my trusty small Canon and it worked great. Please bring a camera. You’ll be so happy you did. Have fun and safe travels! ok ok I won’t get mad at you for displacing Italy from half of your heart in favor of France…I do love love love France too! But you could at least have told me you were making these galettes! And if this is your favorite pâte sucrée I really have to try it! Lovely post, Jean! 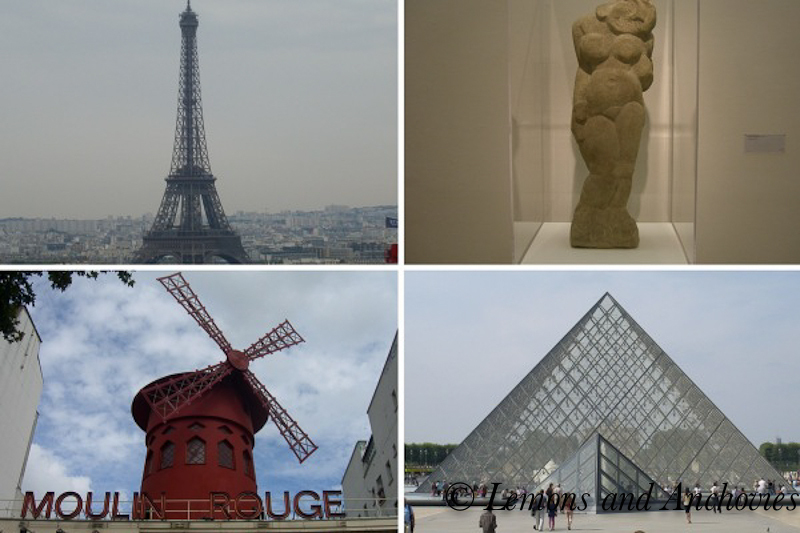 Photos are beautiful and you have me longing for Paris (and Italy)! I never made it to the Riviera but I’m more inspired to get there one day after seeing your amazing photos. Thanks for sharing! 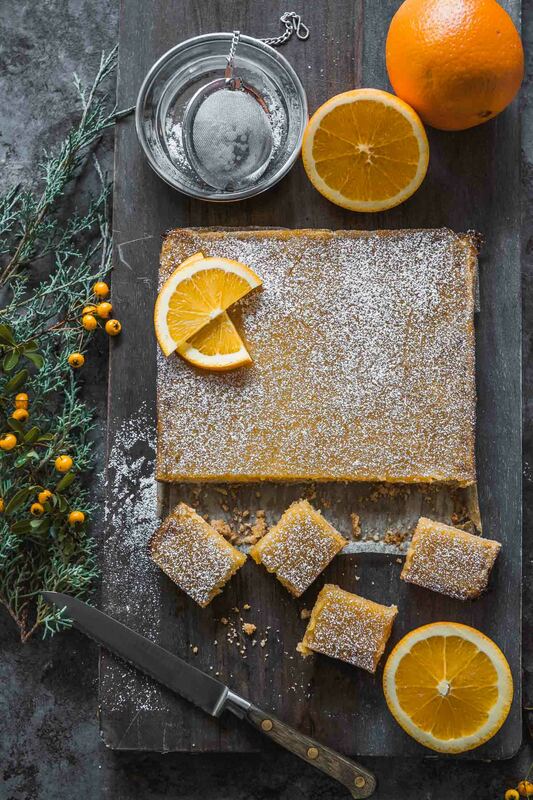 As for your dessert… what can I say, this is the reason I look forward to your posts! 🙂 You tend to make dishes that I love to eat but I am too lazy to make for myself. Heh. This one however, I am adding to my list (yes, I have a list) of things I am going to cook! Judy, I highly recommend the south of France. In fact, I’d love to return sometime. I did. I visited from #pfb2010 😉 Your beautiful pictures bring back warm fuzzy memories of the Italian Riviera, and your apple galettes look scrumptiously crisp and flaky. Definitely going to try my hand at them. I would have to say Jean Italy would win if in a contest with France even though we pretty much visit France every year whether on motobike trips or skiing. Having said that my heart beats extra fast when I walk into a French patisserie looking at their displays and funnily enough their quality of sorbets I’ve found to be superb. Lovely looking little tarts, nice glaze you have on the pastry. 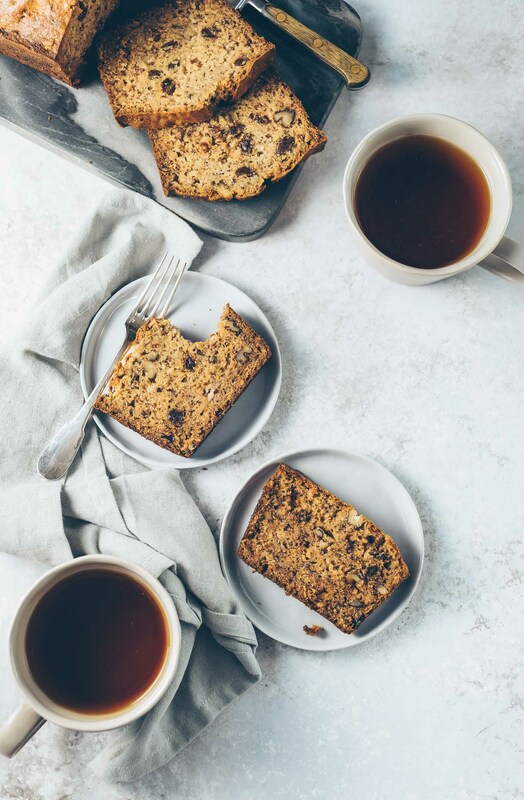 What beautiful pictures of your trip, Thanks for sharing, they are making me quite jealous:) The apple galettes look fabulous, love the individual sizes! Lovely Paris pictures, I never been there. I’m dying to go. But first I probably should loose let’s say 10 or 15 ponds lol Because I’m sure I will be all over the food and the wonderful breads. Your galette looks delicious. And seems very simple to make. 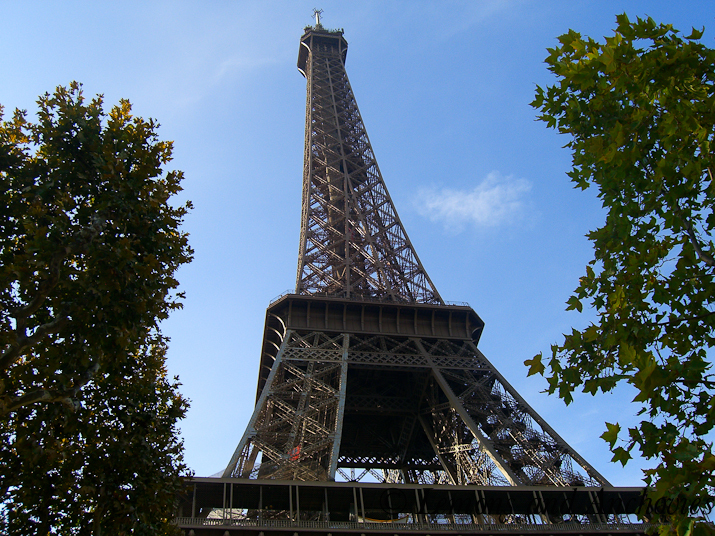 Thank you for sharing your photos of France. 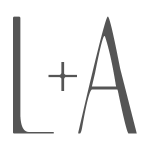 It is such a treat to travel vicariously through fellow bloggers. The food looks especially wonderful. Fall is my favorite baking season because of apples. Your galettes look scrumptious!!! Oh how I love Paris.. I studied abroad in college and fell in love when we visited Paris- to be honest I liked it more than Italy!? I may be crazy I know.. but a sweet tooth at heart, their pastries are just something that can’t be compared with! Your galettes look delicious! Jean, those galettes are beautiful and sounds amazing. Love the photos from Paris! Beautiful city. Looking forward to meeting you at the Festival as well. Sigh, I love Paris. I’ve been, but I never felt as though I spent enough time to absorb it all. This makes me want to go back (it’s been way too long!). In the meantime, thank you for inspiring me with this galette – beautiful! Your apple tart looks fabulous, but I am completely stuck on the pasta with truffle. Love the vacation photos. We miss it too. 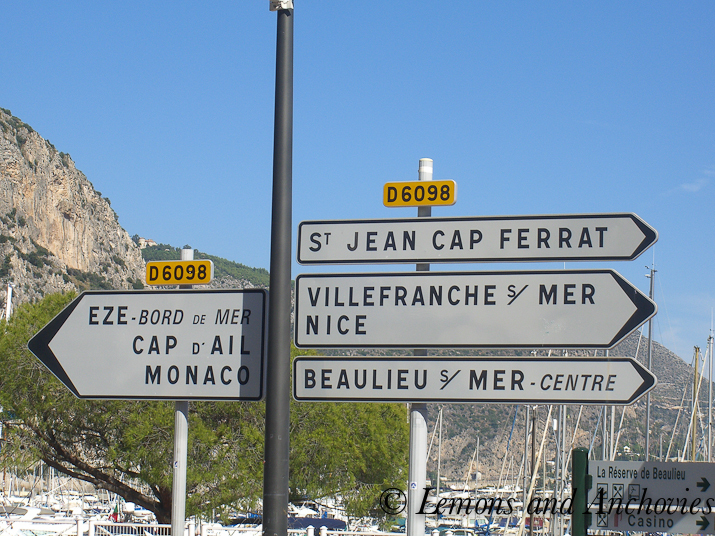 Yes, France entices – no doubt about it. Using the Riviera as your home base must have been extraordinary. The markets astound – invite cooking. And the perfect antidote to coming home is to cook something from your vacation – it makes the time there linger. The galettes are on my agenda. They also welcome. Lovely photographs and post, Jean. 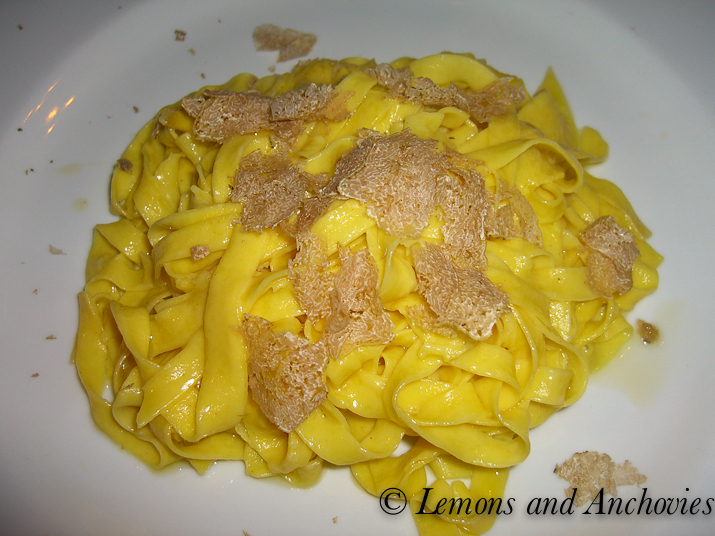 That pasta with truffle looks divine! 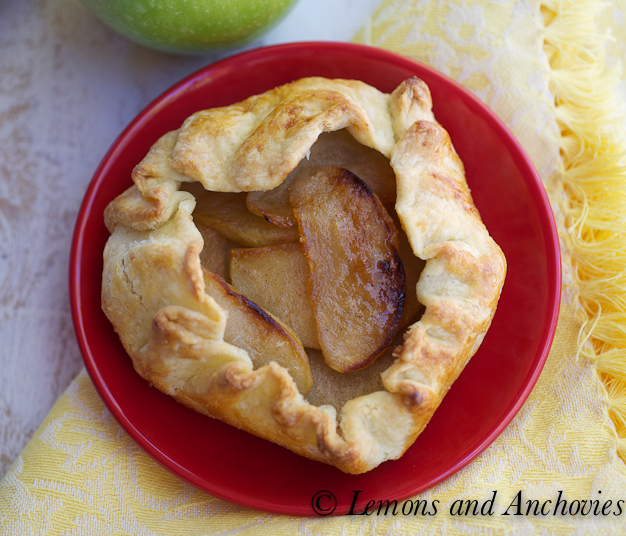 And I have to try those galettes soon and Fall is the perfect time — apples and pears! I’ve always dreamed of France — it’s such a romantic place. I just can’t wait to visit! And by the way, thank you for your encouraging note in my blog. Thank you, Jean. Jun, pears would be excellent for this recipe. Hmm, I’ll have try that, too. I’m so glad to hear about your lovely time in France, I’m hoping to make a trip next summer! 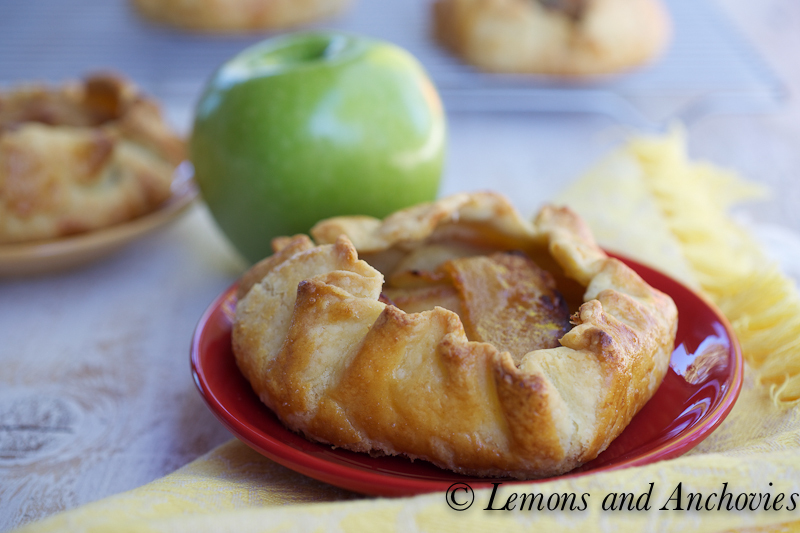 I would love an apple galette such as this one for a break in the afternoon with a cup of black coffee. How wonderful! okay, i wasn’t too jealous, until i saw that village market picture. ugh. america. so not as cool. If I had to leave San Francisco, I’d pick Paris…not that I’ve been yet but based on everything I’ve seen and heard. how could you not miss Paris…sigh….my favorite city in the whole world, Those individual galettes sound delicious. A perfect finish to any meal! It’s cold and rainy for some reason today in Sydney but your post is so gorgeous – it just made my day! I’m excited for the return of apple desserts–they’re one of my favorite. I will have to try the pate sucre, though. Can you believe I’ve never made pastry crust?